Bisphenol A (BPA) is an industrial chemical added to many commercial products, including food containers and hygiene products. It is mixed with other compounds to produce strong and resilient polycarbonate plastics and epoxy resins. Plastics that contain Bisphenol A are commonly used in food containers and baby bottles, among other things. Bisphenol A is also a precursor to the flame retardant tetrabromobisphenol A, and was used as a fungicide. Bisphenol A is the common name for 4-[2-(4-hydroxyphenyl)propan-2-yl]phenol. It has a molecular formula of C15H16O2. Bisphenol A is an organic compound that is a potential food contaminant due to its use in reusable polycarbonate food containers such as baby bottles. The open chemistry database PubChem notes that the pure active ingredient may cause an allergic skin reaction and serious eye damage. Bisphenol A may also trigger the onset of respiratory irritation, with symptoms such as sore throat, coughing and nausea. In addition, Bisphenol A is suspected of damaging fertility or the unborn child, and is known to be toxic to aquatic organisms with long lasting effects. Prolonged or repeated exposure to this organic compound may adversely affect the liver, kidneys, the respiratory tract and gastrointestinal tract. Do not microwave polycarbonate plastic food containers. It has been suggested that Bisphenol A can seep into food from plastic containers. Polycarbonate is strong and durable, but may break down from over use at high temperatures. Check for the recycle codes on the bottom of plastic containers. Some plastics that are marked with recycle codes 3 or 7 may be made with Bisphenol A. Cut back on using canned foods and beverage containers. 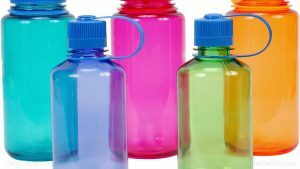 When possible, choose glass, porcelain or stainless steel containers over plastic ones, particularly for hot food or liquids. 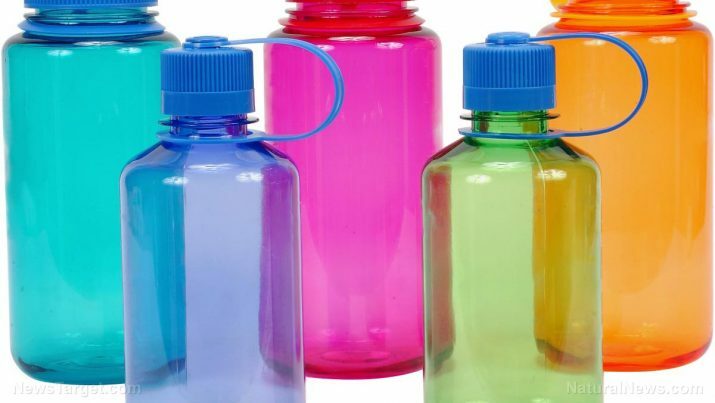 Use baby bottles that are BPA-free. Bisphenol A is an organic compound that is primarily used to create polycarbonate plastics, which are then made into many commercial products like baby bottles and food and beverage containers. Bisphenol A can seep into and contaminate food through reusing plastic containers. Avoid reheating food in plastic containers and check for their recycle codes to identify the ones made with Bisphenol A.